If you have ever shopped for anything online, you’ve seen faceted navigation. This is the list of clickable options, usually in the left panel, that can be used to filter results by brand, price, color, etc. Faceted navigation makes it possible to mix & match options in any combination the user wishes. It’s popular on large online stores because it allows the user to precisely drill down to only the things they are interested in. But this can cause huge problems for search engines because it generates billions of useless near-duplicate pages. This wastes crawl budget, lowers the chances that all of the real content will get indexed, and it gives the search engines the message that the site is mostly low-quality junk pages (because, at this point, it is). Many articles talk about faceted navigation and how to mitigate the SEO problems that it causes. Those are reactive strategies: How to prevent the search engines from crawling and indexing the billions of pages your faceted navigation created. This is not one of those how-to articles. Instead, it’s about the decisions that create massive duplication and how to avoid them from the start. It’s about the seemingly innocuous UX choices and their unintended consequences. My goal is to give you a deeper understanding of how each decision affects crawlability and final page counts. I’m hoping this will give you knowledge you can use, both to avoid problems before they start and to mitigate problems that can’t be avoided. “OR” matching — With this match type, the store shows items that match any of the selected options. This can be used for lists of brand names, sizes, colors, price ranges, and many other things. The assumption here is that the user is interested in a few different things, and wants to see a combined list that includes all of them. (e.g., all ski hats available in red, pink or yellow). “Radio button” matching — With this match type, only one option may be selected at a time. Selecting one option deselects all others. The assumption here is that the options are 100% mutually exclusive, and nobody would be interested in seeing more than one of them at a time. Radio buttons are often used to set sort order. It is also sometimes used to choose between mutually exclusive categories. (e.g., specifying the smartphone brand/model when shopping for phone cases) Some radio button implementations require at least one selected option (e.g., for sort order), and others don’t (e.g., for categories). The options within a given group can be combined using any one of these match types, but the groups themselves are almost always combined with each other using “AND” matching. For example, if you select red and green from the “colors” group, and you select XL and XXL from the “sizes” group, then you will get a list of every item that is both one of those two colors and one of those two sizes. The above example has just over 17 billion possible combinations. Note that the total number of actual pages will be much larger than this because the results from some combinations will be split across many pages. The total number of possible combinations of options — In the simplest case (with only “AND” & “OR” matching, and no blocking) the number of combinations will be 2n, where n is the number of options. For example, if you have 12 options, then there will be 212, or 4,096 possible combinations. This gets a bit more complicated when some of the groups are radio buttons, and it gets a lot more complicated when you start blocking things. The number of matching items found for a given combination — The number of matching items is determined by many factors, including match type, the total number of products, the fraction of products matched by each filter option, and the amount of overlap between options. The maximum number of items to be displayed per page — This is an arbitrary choice set by the site designer. You can set this to any number you want. A bigger number means fewer pages but more clutter on each of them. Test: How Does Match Type Affect Page Counts? The choice of match type affects the page count by influencing both the number of combinations of options and also the number of matching items per combination. How were these results calculated? The faceted nav consists of one big group, with 32 filtering options that can be selected in any combination. On average, each filtering option matches 20% of the products. The site displays (up to) 10 products per page. Options are combined using “AND” matching. The obvious: The number of pages is enormous, and the vast majority of them are empty results. For every 12,625 pages on this site, one shows actual products. The rest show the aggravating “Zero items found” message. This is a terrible user experience and a colossal waste of crawl budget. But it’s also an opportunity. So what can we do about all those empty results? If you are in control of the server side code, you can remove them. Any option that would lead to a page that says “Zero items found” should either be grayed out (and no longer coded as a link) or, better yet, removed entirely. This needs to be evaluated on the server side each time a new page is requested. If this is done correctly, then each time the user clicks on another option, all of the remaining options that would have led to an empty result will disappear. This reduces the number of pages, and it also dramatically improves the user experience. The user no longer has to stumble through a maze of mostly dead ends to find the rare combinations that show products. This test is identical to Test #1, except now all links that lead to empty results are silently removed. 1,149,017 (reachable) combinations of options. This may still seem like a lot, but it’s a significant improvement over the previous test. The page count has gone from billions down to just over one million. This is also a much better experience for the users, as they will no longer see any useless options that return zero results. Any site that has faceted nav should be doing this by default. There are still 10,000 products. Each filtering option still matches 20% of the products. The site still displays 10 products per page. Options are now combined using “OR” matching instead of “AND” matching. 4,294,967,296 different combinations of options. The number of combinations is precisely the same, but the number of pages is much higher now (966 times higher), and there are no longer any empty results. Why is the page count so high? Because, with “OR” matching, every time you click on a new option the number of matching items increases. This is the opposite of “AND” matching, where the number decreases. In this test, most combinations now include almost all of the products on the site. In Test #1, most combinations produced empty results. There are no empty results at all in this new site. The only way there could be an empty result would be if you chose to include a filtering option that never matches anything (which would be kind of pointless). The strategy of blocking empty results does not affect this match type. This test uses radio button matching. 33 different combinations of options. The takeaway: Always at least consider using radio button matching when you can get away with it (any time the options are mutually exclusive). It will have a dramatic effect on page counts. The choice of match type is important and profoundly impacts page counts. “OR” matching can lead to extremely high page counts. “AND” matching isn’t as bad, provided you are blocking empty results. You should always block empty results. Blocking empty results helps with “AND” matching, but doesn’t affect “OR” matching. Always use radio buttons when the options are mutually exclusive. So far, we have looked at page counts for sites that have one big group of options with the same match type. That’s unrealistic. On a real website, there will usually be many groups with different match types. The exact way the options are separated into groups is another factor that can affect page counts. The faceted nav has a total of 32 filtering options. The site displays up to 10 products per page. Options are combined using “OR” matching. But this time, we’ll redo the test several times, and each time, we’ll split the 32 options into a different number of groups. The interesting thing here is that the last two tests have some empty results. Yes, all groups used “OR” matching, and yes, I told you “OR” matching does not produce empty results. So what’s going on here? Remember, no matter which match types are used within each group, the groups are combined with each other using “AND” matching. So, if you break an “OR” group into many smaller “OR” groups, you get behavior closer to an “AND” group. Another way to put it: Suppose there are eight groups with four options each, and the user has selected exactly one option from each group. For any item to show up in those results, the item would have to match all eight of those selected options. This is functionally identical to what you would get if those eight selected options were part of an “AND” group. If you are blocking empty results (which you should be doing anyway), then the actual page counts for the last two tests will be much smaller than is shown in this table. Before you get all excited, note that you have to have quite a few groups before this starts happening. It’s possible some site might be in a market where it makes sense to have eight groups with four options each, but it isn’t something that will happen often. The boring but more practical observation is that even breaking the group into two parts reduces the page count noticeably. The difference isn’t huge, but it’s enough to be of some value. If a group of options that uses “OR” matching can be logically separated into two or more smaller groups, then it may be worth doing. This test is the same as Test #5, but with “AND” matching instead of “OR” matching (and empty results are now being blocked). Yep. They all have the same number of pages. How can this be? The options within each group use “AND” matching, and groups are combined with each other using “AND” matching, so it doesn’t matter if you have one group or several. They are functionally identical. If you want to split up an “AND” group because you think it will make sense to the user or will look nicer on the page, then go for it, but it will not affect page counts. The faceted nav consists of five groups, with varying option counts, and a mix of different match types. Links to empty results are blocked. This makes a difference when the values are small, but the effect tapers off as the values gets larger. Some sites, especially some very large online stores, try to reduce database load by setting a “pagination limit.” This is an arbitrary upper limit to the number of pages that can be returned for a given set of results. For example, if a given filter combination matches 512,000 products, and the site is set up to show 10 products per page, this particular combination would normally create 51,200 pages. Some sites set an arbitrary limit of, say, 100. If the user clicks all the way to page 100, there is no link to continue further. These sites do this because, compared to delivering pages at the start of a pagination structure, delivering pages deeper in a pagination structure create a massive load on the database (for technical reasons beyond the scope of this article). The larger the site, the greater the load, so the largest sites have to set the arbitrary limit. The test was repeated with different values for the pagination limit. That’s definitely an improvement, but it’s underwhelming. If you cut the pagination limit in half, you don’t wind up with half as many pages. It’s more in the neighborhood of 90% as many. But this improvement is free because this type of limit is usually added for reasons other than SEO. For lower values, changing “Items per Page” improves page counts by a noticeable amount. 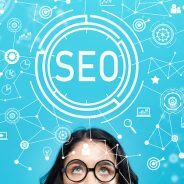 If you have a huge site implementing a pagination limit primarily for database performance reasons, you may see a minor SEO benefit as a free bonus. If you’re not also doing this to reduce database load, it’s not worth it. All of the tests so far let the crawler see all of the human-accessible pages. Now let’s look at strategies that work by blocking pages via robots meta, robots.txt, etc. Human-readable page count — Pages that can be viewed by a human being with a browser. Crawlable page count — Pages that a search engine crawler is allowed to request. Indexable page count — The number of pages that the search engine is allowed to index, and to potentially show in search results. The crawlable page count is important because it determines how much crawl budget is wasted. This will affect how thoroughly and how frequently the real content on the site gets crawled. The indexable page count is important because it effectively determines how many thin, near-duplicate pages the search engines will try to index. This is likely to affect the rankings of the real pages on the site. In this test, if the number of selected options on the page gets above a pre-specified limit, then <﻿meta name="robots" content="noindex,nofollow"> will be inserted into the HTML. This tells the search engines not to index the page or follow any links from it. For this test, the “selection limit” is varied from 0 to 5. Any page where the number of selected options is larger than this selection limit will be blocked, via robots meta tag with noindex, nofollow. In these results, both indexable and crawlable page counts are reduced dramatically, but the number of crawlable pages is reduced by much less. Why? Because a robots meta tag is part of the HTML code of the page it is blocking. That means the crawler has to load the page in order to find out it has been blocked. A robots meta tag can block indexing, but can’t can’t block crawling. It still wastes crawl budget. You might well ask: If robots meta can’t directly block a page from being crawled, then why is the crawlable page count reduced at all? Because crawlers can no longer reach the deepest pages: The pages that link to those pages are no longer followed or indexed. Robots meta can’t directly block crawling of a particular page, but it can block the page indirectly, by setting “nofollow” for all of the pages that link to it. This a repeat of test #9, except now the pages are blocked by a robots meta tag with “noindex, follow” instead of “noindex, nofollow.” This tells the crawler that it still shouldn’t index the page, but it is OK to follow the links from it. This scheme reduces the number of indexable pages, but it does nothing whatsoever to prevent wasted crawl budget. Wasted crawl budget is the main problem that needs to be solved here, so this makes this scheme useless. There are some use cases (unrelated to faceted nav) where “noindex, follow” is a good choice, but this isn’t one of them. Can the selection limit be implemented with robots.txt? As shown in test #9, using robots meta tags to implement a selection limit is not ideal, because robots meta tags are part of the HTML of the page. The crawler has to load each page before it can find out if the page is blocked. This wastes crawl budget. So what about using robots.txt instead? Robots.txt seems like a better choice for this, because it blocks pages from being crawled, unlike robots meta, which blocks pages from being indexed and/or followed. But can robots.txt be used to selectively block pages based on how many options they have selected? The answer is: it depends. This depends on the URL structure. In some cases it’s simple, in others it’s difficult or impossible. This is a repeat of test #9, except now the pages are blocked using robots.txt instead of robots meta. Blocking pages based on a selection limit is a very effective way to reduce page counts. Implementing this with robots.txt is best. But you can only use robots.txt if the URL structure allows it. Implementing this with robots meta is less effective than robots.txt, but still useful. Faceted navigation is one of the thorniest SEO challenges large sites face. Don’t wait to address issues after you’ve built your site. Plan ahead. Use robots.txt, look at selection options, and “think” like a search engine. A little planning can improve use of crawl budget, boost SEO, and improve the user experience. The post Faceted Navigation and SEO: A Deeper Look appeared first on Portent. 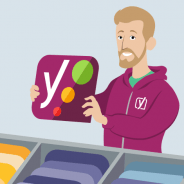 The post Yoast SEO 8.1: Gutenberg part 2, introducing the snippet preview appeared first on Yoast. 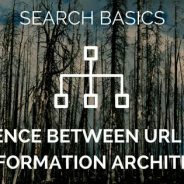 I’ve recently noticed some confusion around the industry on the differences between URL structures and Information Architecture (IA). I thought it was worth clarifying a few points and giving you all some language that is useful when talking about the differences. 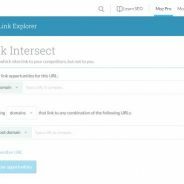 What are the SEO considerations for URLs? The specific thing I want to clarify is the differences between decisions about the path in your URLs and decisions about your IA as this is where I often see a ton of confusion. How should we handle facets? The fact that both concern groupings and hierarchies has led too often to people misinterpreting IA questions as URL questions. From an SEO perspective, most of the grouping and hierarchy questions we care about are questions about which pages should exist (e.g. should there be an indexable page for “red men’s shoes above a size 11”) and how should our pages be linked together (both from a crawling perspective – thinking about considerations like click depth, and from a ranking perspective – thinking about considerations like internal link equity). Probably the only real constraint that paths create for IA is that if you go down the path of having nested folders, that will generally imply the existence of pages at each level of folder. In other words, a page at /level1/level2/level3 implies that /level1/level2 will also exist as a real page (as much for users as anything else). What (kinds of) pages should exist on my site? How should our pages and page types link to one another? You may choose to group pages of the same page type together by, for example, placing them in a folder, but this is an independent decision about URL structure. In general, URL structure decisions are less important than IA decisions. 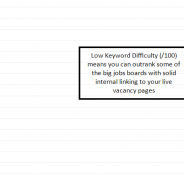 How important are keywords in URLs? At MnSummit, my colleague Rob heard Google representative John Mueller say that there was no SEO need to translate URLs for foreign language sites. This surprised me, because (unless Google is already translating all inputs and outputs) this implies that keywords in the path make no difference in search either. I would have thought that all else being equal a page called /shoes/red would outperform /products/12512 for a whole variety of reasons. So: I’m inclined to add this to the list of things that Google says are true that may be technically true, if read narrowly enough, but are unhelpful in the real world. My most charitable reading is that John is saying something like “Google does not have a specific element of the algorithm that checks language in page paths”. And for sure try to have URLs in the correct target language. Regardless of whether you agree with me or John Mueller about the SEO benefit, I think we both agree that your users would prefer URLs in their own language. 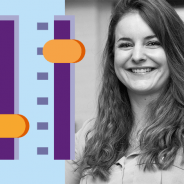 There are always risks to moving content – even with well-implemented redirects and no mistakes – and so you should only undertake URL changes with care. In general, IA changes are more reversible as things are more likely to go back to how they were if you undo the change while the nature of a 301 (“permanent”) redirect is that it should signal that things are not going to change back. For that reason, while we would often recommend moving from dynamic URLs with a bunch of parameters in them to cleaner URLs, and may recommend moving from impenetrable URLs to more readable ones, it will generally be hard to justify a move from reasonably-good URLs to arguably-better. Do your own risk assessment, and proceed with caution! Posted by on Aug 24, 2018 in SEO Articles | Comments Off on Ask Yoast: Can Google deal with Lazy Load?